The George Washington Bridge | ride. travel. live. 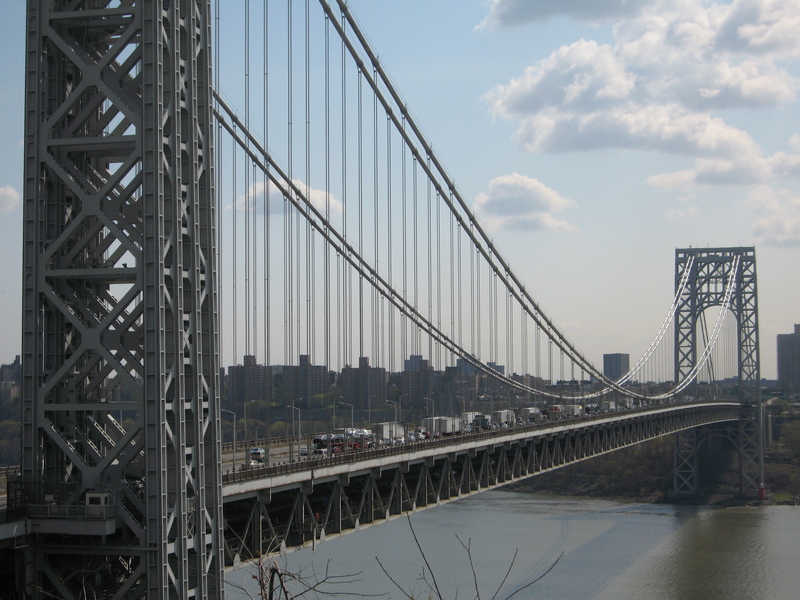 This is the only bridge from New Jersey into Manhattan, and the only route that can be walked or biked, accessed by negotiating the tangle of traffic lanes, overpasses, gates, and underpasses that all meet at the toll plaza. Driving from New Jersey, you only see it at the last moment, a shiny steel structure that rises above the Palisades. Walking across is noisy, with traffic rumbling underneath, perpetual traffic jams on the upper level, construction, renovation, exhaust, and an ever-present vibration from the endless streams of lorries crossing it daily. It’s not a particularly pleasant experience. 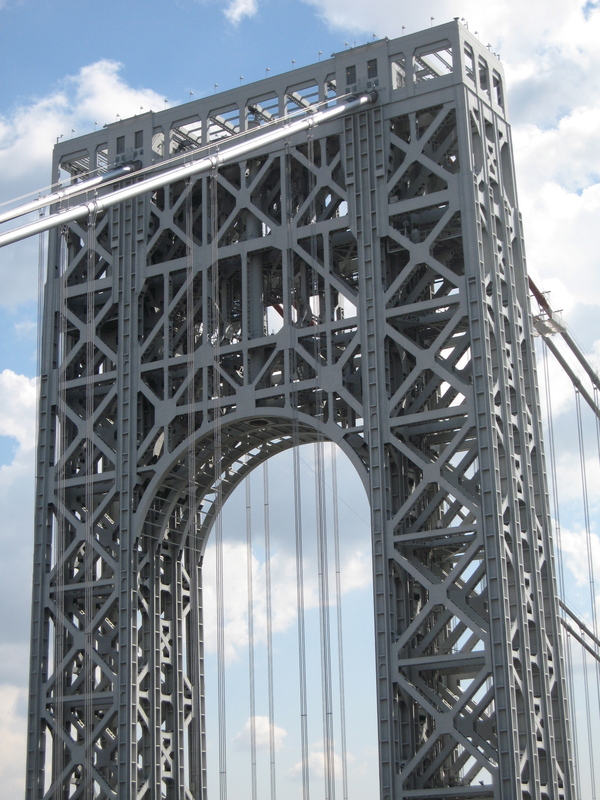 Although walking across is the best way to appreciate it up close, the best view is from the Fort Lee park that presents several vantage points of the bridge, where the traffic and noise are far enough away that the grace of the structure literally shines, 80 years new. West tower, closeup, the beauty of exposed steel. ". . . the only seat of grace in the disordered city."